Our developers design social media applications for lifestyle wearable technology platforms. Development of software applications for lifestyle wearables, including LED smart clothing design, Bluetooth headsets, and smart glasses and watches. 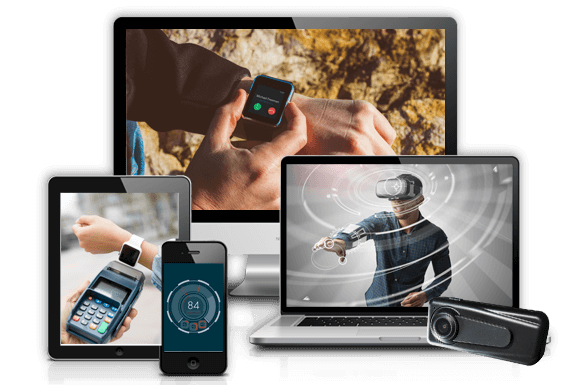 We develop wearable technology applications that support personal video recordings and camera functions. We develop gaming solutions for wearable technology and integrate them with gyroscopes, motion processors, and HUDs. Our experts develop the architecture for e-learning platforms and integrate with the wearable Head-up Display (HUD) and voice recognition software for hands-free educational applications. Development of data and media access applications for lifestyle wearables that are easily integrated into media such as music, videos, pictures, and documents. We program transcribing applications for sending and receiving emails and note taking through wearable devices.